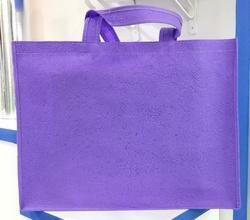 Pioneers in the industry, we offer non woven texture bag, non woven 20gsm wcut bag and shopping bag from India. Our company has been acknowledged for offering PP Non Woven Packaging Bag to the clients. This product is widely used in grocery shops, departmental stores, etc. PP Non Woven Packaging Bag (Polypropylene Non Woven Packaging Bag ) is manufactured using top grade quality material and with the aid of latest technology and is appropriate for long term storage of pulses and grains. 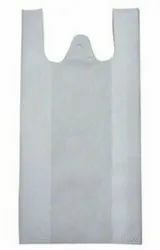 20 GSm wcut bags are highly useble and cheapest bags. With sincere intentions to preserve and uplift our reputation in the markets, we are offering a commendable range of Shopping Bags. The provided shopping bag is exactly designed utilizing the excellent quality material in accordance with the market trends. We offer this shopping bag in customized options as per the precise needs of the clients. 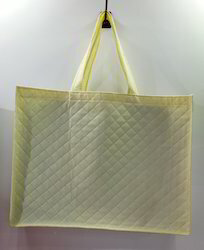 This shopping bag is tested on various quality parameters and can be availed by our clients at pocket friendly price.